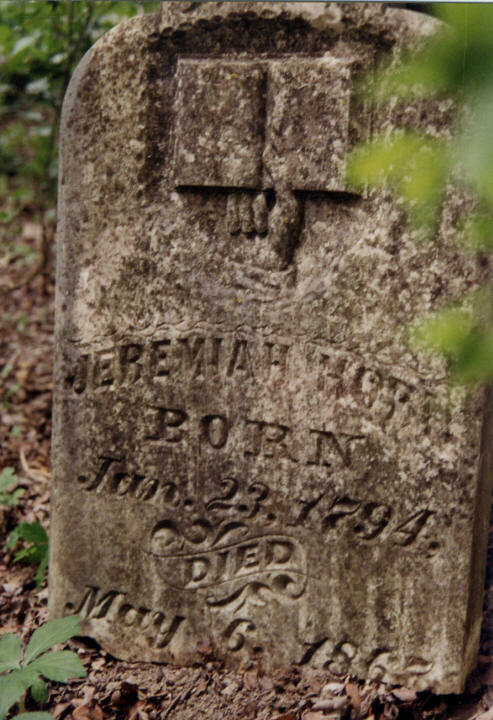 Jeremiah Horn was an early Methodist minister in the county. The Horn family has not been able to prove that Jeremiah Horn was related to Elder R. C. Horn's branch which lived just north of here near Honey Creek. Parts of that family are buried in the Horn Cemetery and in the Wear Cemetery, both of which are within a few miles. Horn relatives speculate that the families are related since they settled near each other and they both came from the same area of Tennessee. This is a fenced ½ acre deeded cemetery listed in Vol 37, p 547. 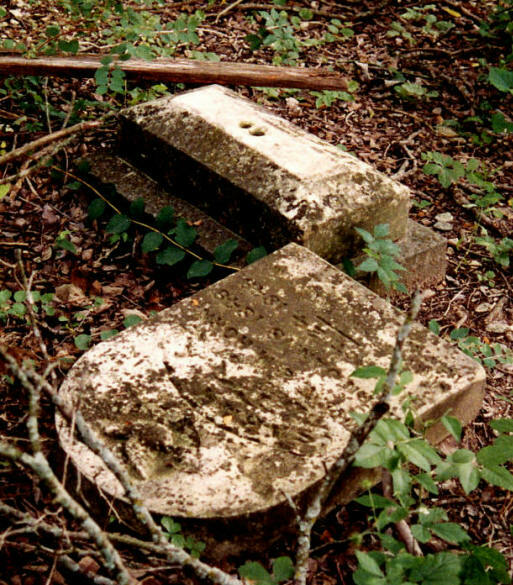 It is the Jeremiah Horn Cemetery but it is listed as the Hunt Cemetery on Rand McNally maps. I do not know where the name Hunt comes from. At present the cemetery is very overgrown. All of the stones are down and seem to be on the western end of the cemetery. I do not know if there are any stones on the eastern end. The stones are in good condition. There is no evidence that cows have ever been inside the fence. The family lists 13 stones in the cemetery.